We stock an excellent range of quality, hard-wearing farm clothing and footwear. Our range of quality brands include Blundstone footwear, Rossi Boots, Kaiwaka Cothing, Driflex, Duratech, Bekina Boots, Skellerup Gumboots and a large range of children's gumboots. Our range of spraying equipment covers everything from a large broadacre boom sprayer to a knapsack sprayer for small jobs. We also stock free standing diesel units and accessories. Landmark Timboon can supply all your fencing requirements, whether it be a large or small area, you can rely on us to provide you with expert advice and quality products. We can supply you with a range of shaven (peeled) and cambio (rough finish) treated posts and strainers in various lengths and diameters. We have a range of black droppers at various lengths. From plain single strand, barbed or tie wire, we have a large range of different wires for different needs. Whatever you need to keep in or out, we have a large range of mesh and netting. We have a full range of Trutest electric fence products to ensure your stock are kept secure and your fences intact. 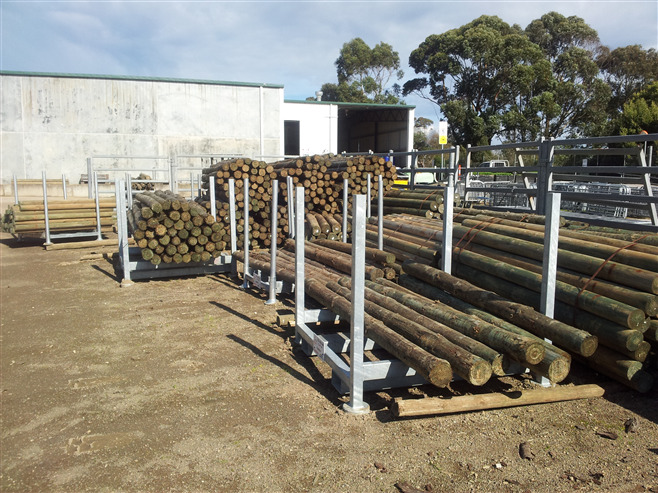 We can supply you with everything you need from electric fence units to accessories. If you need a vertically braced or unbraced gate, we stock gates from 3ft - 16ft in length. If you need a custom made gate, we can have one made especially made to meet your requirements. If you would like to place an order or receive a quote please don't hesitate to contact us, Don't forget we deliver!